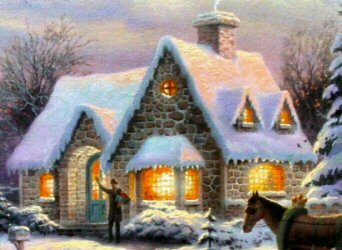 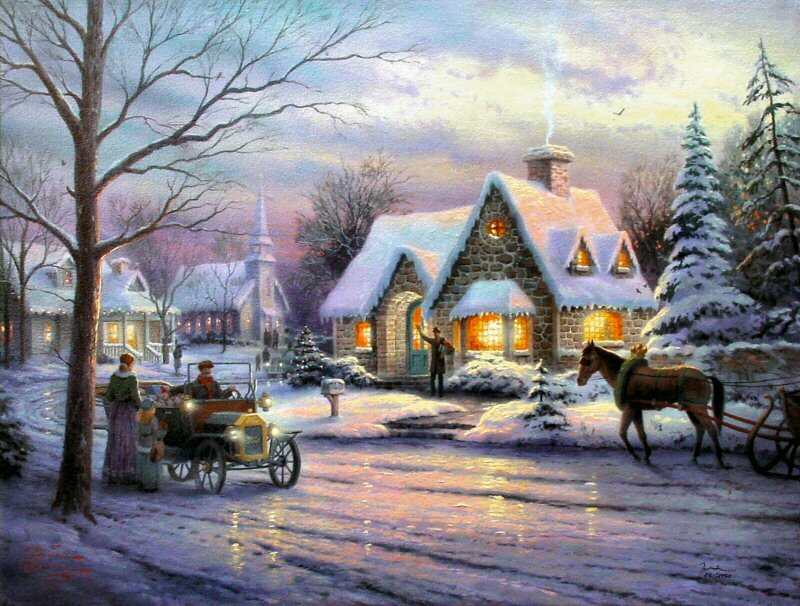 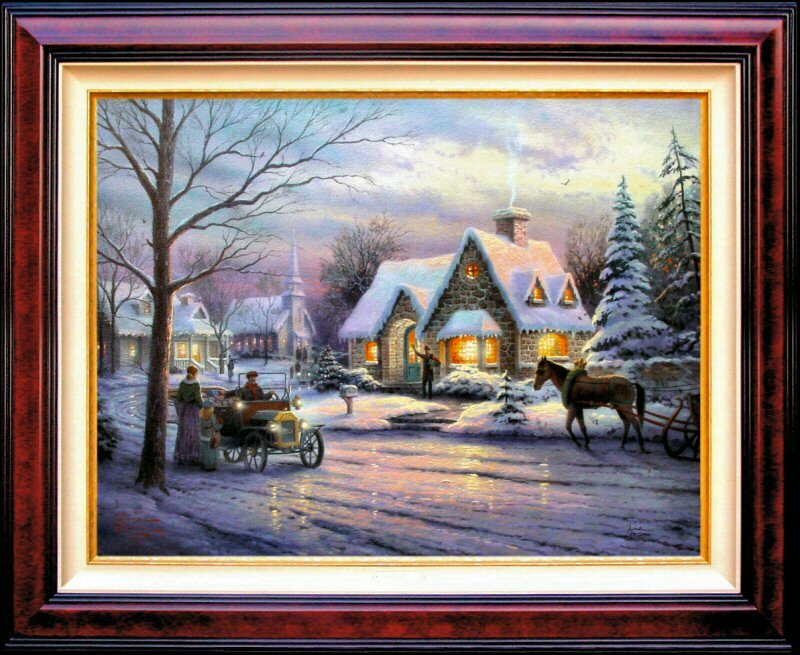 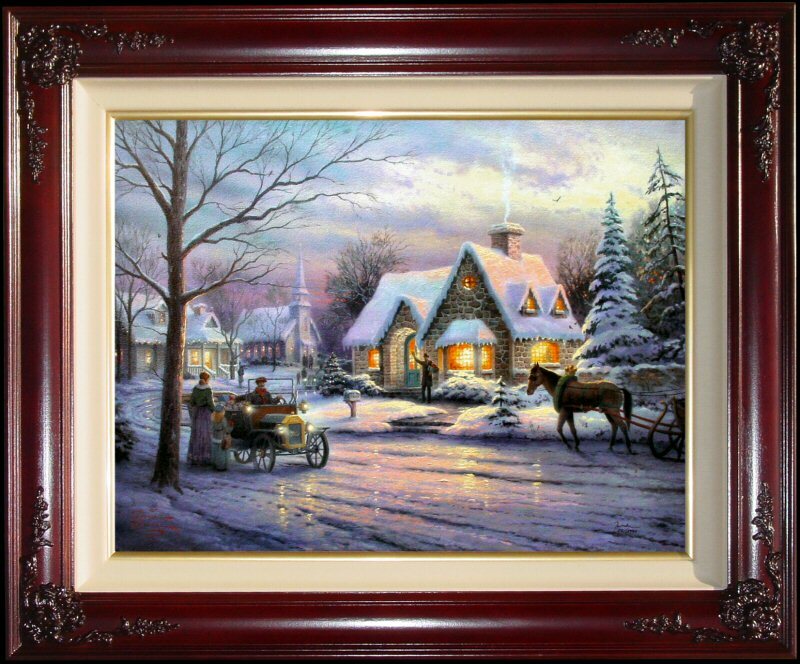 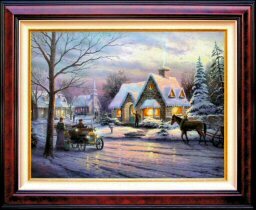 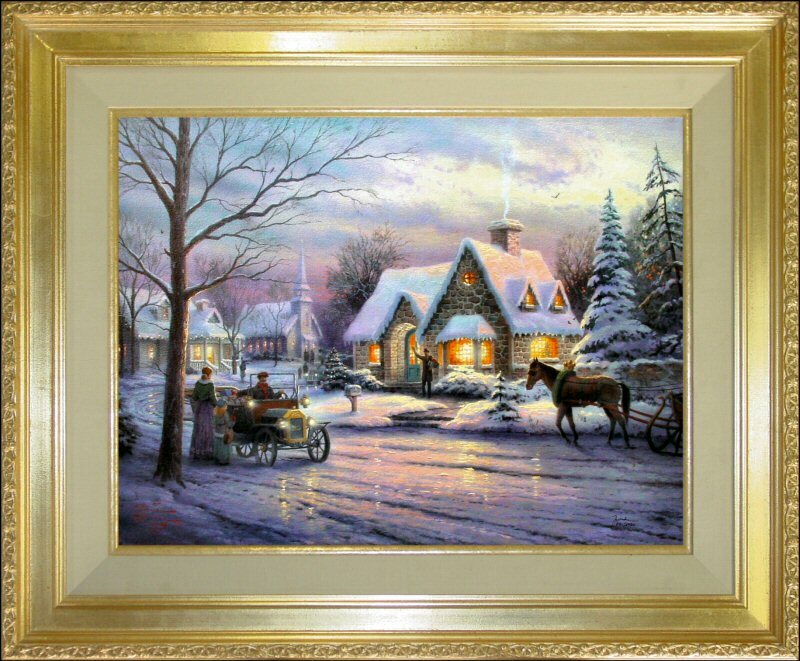 ++++ Brass Plaque with the legend "Memories of Christmas ~~ Thomas Kinkade"
"Christmas is the Season of Light, and the hue that permeates Memories of Christmas is the rosy glow of sunset. 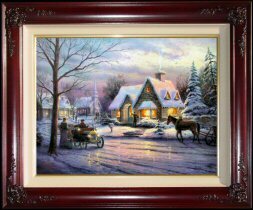 As you may know, I am partial to sunset; I believe that the drama and majesty of God's creation is palpable when the fire of a glorious sunset bathes the land. 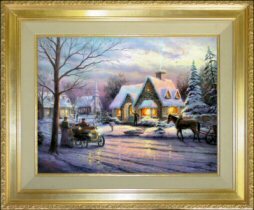 I painted Memories of Christmas at sunset for another reason as well — the nostalgic vision of life is often described as 'seeing the world through rose-colored glasses.' 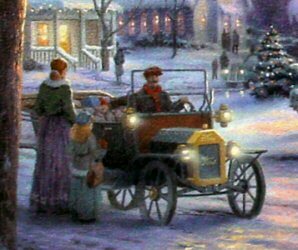 I don't mind admitting that the vision of community I want to express in Memories of Christmas is perhaps best viewed through such tinted lenses!"